The U.S. Navy, the Army, and the Marines have all created enlisted career specialties for the operation and maintenance of this new and rapidly developing technology. The Army and Marines have tackled UAV staffing by creating distinct military occupational specialties (MOS) for UAV operators and maintenance crews. The Navy has made UAVs a Navy Enlisted Classification (NEC). That's a skill or job designator for specially trained personnel that already hold down a standard rating, the Navy equivalent of MOS. Here are those NECs in the Navy Enlisted Classification Manual, Volume II, Chapter 4, with brief descriptions of the skills involved in each. NEC 8361, UAV Systems Organizational Maintenance Technician: This is the repair person. Organizational maintenance means basic repairs and cleaning. It might mean replacing major components, but it doesn't involve soldering circuit boards. NEC 8362, UAV External Pilot: The other services have a single operator, but the Navy has divided the responsibilities into two jobs. This is the pilot who handles take-offs and landings, controlling the plane by sight. NEC 8363, UAV Internal Pilot: "Internal" is a bit of a misnomer, since no one ever gets inside a UAV. This is the operator that takes over while the UAV is in the air, controlling it from a greater distance by satellite connection. NEC 8364, UAV Payload Operator: This is the specialist who remotely operates the sensor equipment on the UAV. NECs 8366, -67, and -68: These three NECs are specifically for the MQ-8 Fire Scout, a UAV helicopter. They are assignments for organizational maintenance technician, payload operator, and pilot, respectively. Navy Times staff writer Andrew Tilghman points out in a November 2008 article that these specialists are not glued to the controls like traditional pilots. UAV operators "fly by the mouse" because "automated navigation systems mean missions will be planned and uploaded before takeoff." The Navy requires a high school diploma for enlistment. Entry into the UAV NECs gets trickier. Sailors must already be trained in one of several Navy ratings and achieve promotion to a particular rank: E-3 for UAV and MQ-8 maintenance technicians and MQ-8 payload operators, petty officer third class (E-4) for internal/external UAV pilots and UAV payload operators, and petty officer first class (E-6) for MQ-8 pilots. 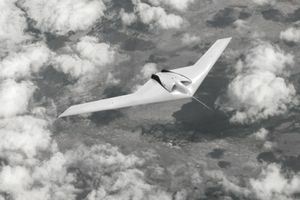 Those who want to work with winged UAVs (NECs 8361-64) must start out as an Aviation Electrician's Mate (AE), Aviation Structural Mechanic (AM), Aviation Support Equipment Technician (AS), Aviation Electronics Technician (AT), Naval Aircrewman (AW), or Aviation Maintenance Administrationman (AZ). Intelligence Specialists (IS) may also work as payload operators. For the MQ-8 unmanned helicopter, payload and vehicle operators (8367-68) must come from the AW rating, while maintenance techs may be drawn from Aviation Machinist's Mates (AD) or the AE, AM, or AT ratings. Entering the UAV field at pay grade E-3 or higher means that the operator must have already completed several training requirements, including the formal school for his or her source rating. Beyond that, there's a 21-week course at Fort Huachuca, Arizona, where instructors with the Army's 2nd Battalion, 13th Aviation Regiment train soldiers, Marines, and foreign military students on subjects including principles of flight, launch and recovery, maintenance, and aerial intelligence and surveillance. Funding may also be available to test out for a private pilot's license with the FAA. What Does an Air Force Pararescue Specialist Do?